This is the Mojo Wood Duck species spinning wing decoy for the serious wood duck hunter. 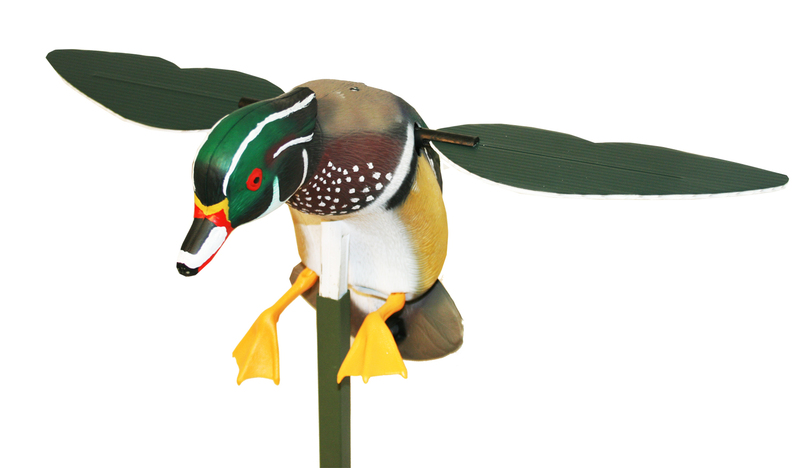 Featuring a realistic looking wood duck drake body, and using the patented MOJO Mounting Peg and complete with 3-piece support pole, the Screamin Woody can run up to 16 hours on 4 AA batteries (not included) – No worrying with rechargeable batteries. This is one of the hottest new weapons for your spread!